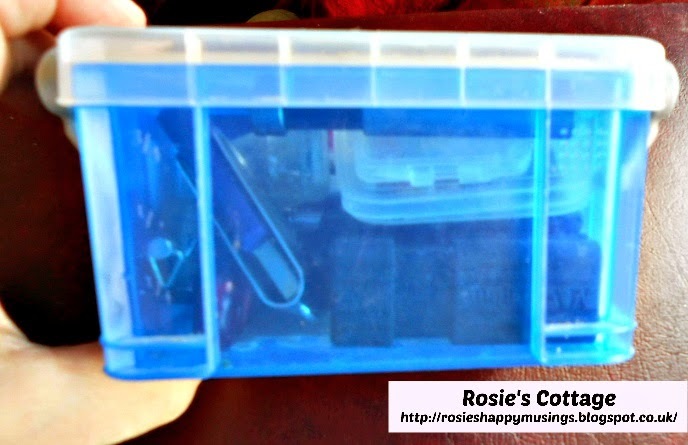 Rosie's Cottage: Cute & Useful Storage: Mini Crates! They're so cute! I bought these in a set of three and did wonder at the time what I'd use them for, but to be honest didn't really think too much about it because I was pretty much carried away with the cuteness level :) Sorry, I know.... grown woman, should know better, but in my defence though, they really are cute! They're no size at all and yet they really do hold quite a lot. I've had so many of those little hair ties in one of them, I pin my hair up at work so I'm always looking for hair ties before I dash out the door. I've had my earrings in one of them too, until I got my jewellery organizer (more of that in a future post.) So countless uses but for now they're living on my desk, although I might move one to my sewing box to hold buttons. 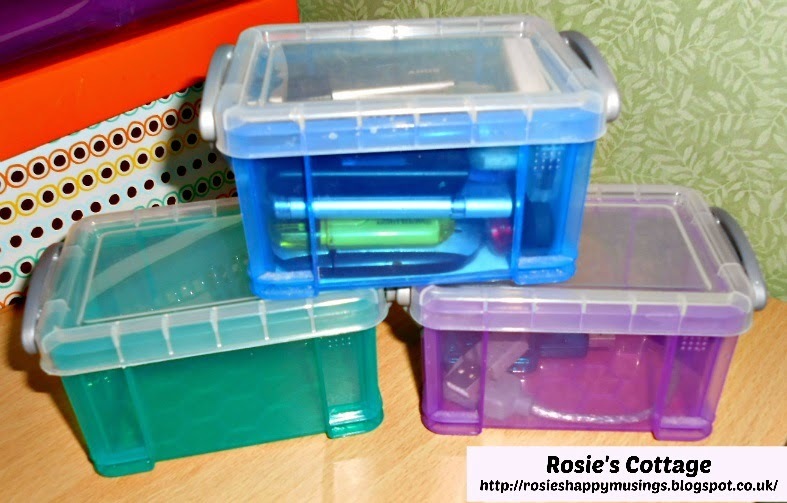 These little boxes are part of a bigger range from a company called Really Useful Boxes I'm loving these little boxes and I'm sure they'll have lots of use. It's great to find containers small enough to hold tiny things without them getting lost among the heaps of stuff that inevitably gets packed into bigger boxes just to tidy up your desk etc. So honeys, have you used these little boxes? 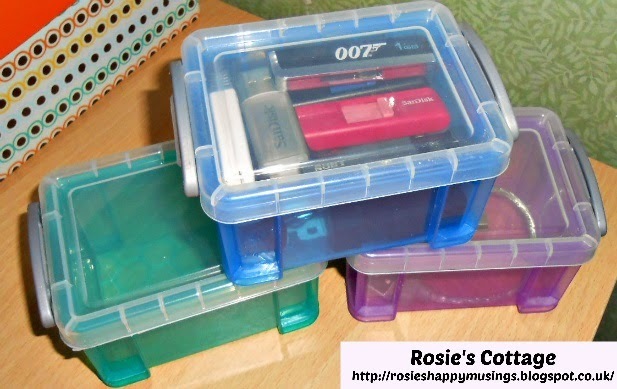 What do you use to store tiny items? It's always been a mystery to me how to best store things like hair clips, hair ties, pins or any other small items that need to be corralled in order to not become lost in drawers, desks, or handbags.